Cars parked on Swain Ave is an accident waiting to happen, Ban all over night parking! Former Koguts Nursery buildings violating blight laws. Torn canopy, missing panels in roofs, lawn in disrepair. Owners are a LLC formed to hide it is Logan Steel and they want to do nothing. Demolish these buildings and clean the property up. Sidewalk and curb needs to be replaced at the beginning of Ann street intersection down Yale Ave. The city refuses to fix this even though it is a hazard!!!! There is a very big patch of holes on the corner of North Wall and Westfield Road that really need to be filled . 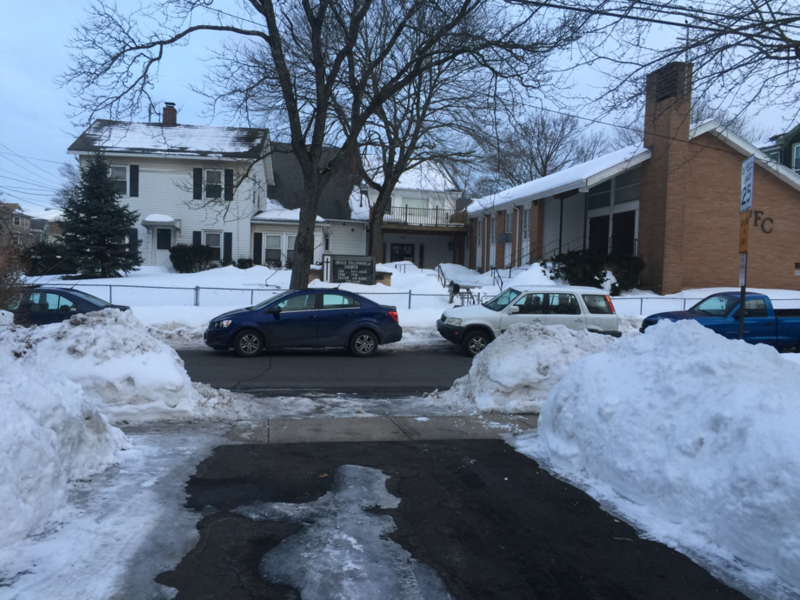 The residents of 19 Prospect Avenue are parking vehicles on the street making it impossible for more than one vehicle to travel East (up the hill) or West (down the hill) at the same time. These vehicles are also making it difficult to turn into or exiting the street perpendicular to this house. Hello? Anyone from the City of Meriden paying attention to citizen complaints? If there is a fire at one of the houses on Prospect Terrace, emergency personnel will not be able to turn into the street because of an illegal parked car on Prospect Avenue. Are you waiting for an automobile accident or a fatality to happen before this issue is addressed? Do I need to start calling the "Mayor's Hotline" every hour until someone takes a complaint seriously? Vehicles still parking in the street ... over the past weekend, up to five (5) cars!